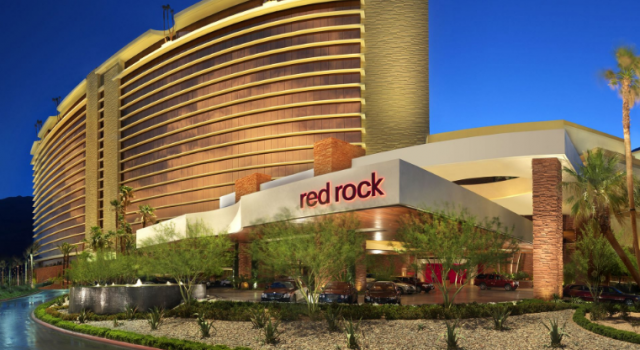 If you have set your eyes on Las Vegas for a little playing and shopping fun for the winter months and you would also like to stay at a nice hotel, now you can book Red Rock Casino Hotel and Spa from $38 per night only. If you book now, you can save big on the 4-Diamond resort. You can find this hotel on the W Charleston Boulevard, on the western edge of the city, close to the Red Rock Canyon National Conservation Area and also close to The Arroyo Golf Club, Bobby Wheat Gallery and more. 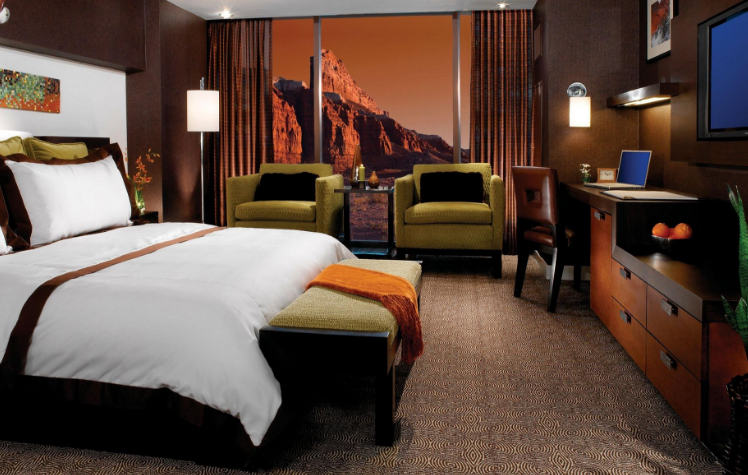 The rooms and suites of Red Rock Casino Hotel and Spa look over the strip or over the canyon. They feature a king or two queen beds, have air conditioning, 42 inch flat screen TV with premium channels, internet prone, sitting area, fully stocked private bar, executive work area, in room safe, floor to ceiling windows with blackout curtains and more. The casino of the resort is huge and modern. 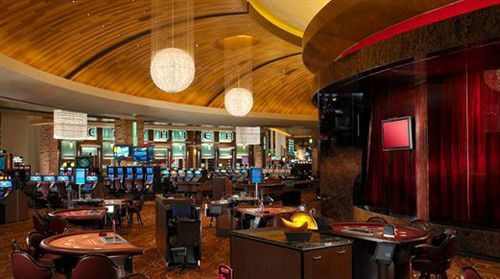 It features as many as 2,700 slot and video poker machines, table games, poker, race and sports book and more. 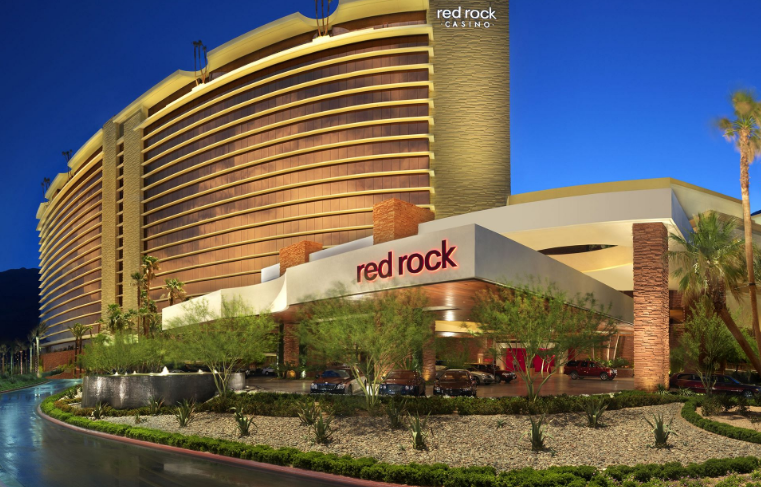 Red Rock Casino Hotel and Spa has a beauty salon where you can get pretty for your night out and also a full service spa with the most relaxing and rejuvenating treatments and fitness center. 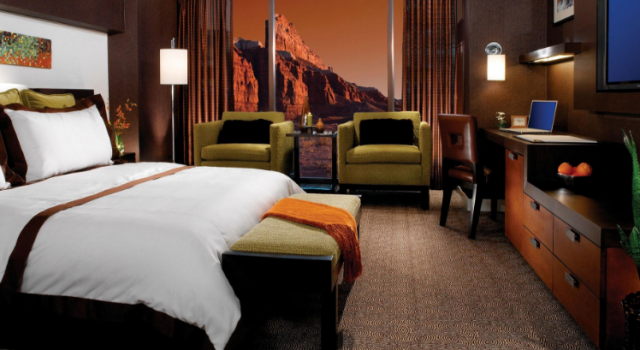 Apart from in room dining there are ten dining spots at Red Rock Casino Hotel and Spa, including a barbecue place, bakery, steakhouse and more. There are also several bars here but entertainments include regular shows and concerts as well, shopping area, kids club, bowling center, cinema with the newest movies and outdoor tropical pool and hot tubs. There are many other Las Vegas hotels that are on sale at this moment, so why don’t you have a look at more deals and see if any of them are better for your plans and/ or your pocket than our pick. It takes a minute to do a little search in the box and see what else is out there.